I am not really sure how to do book reviews, but I do want to share books that I have recently finished. 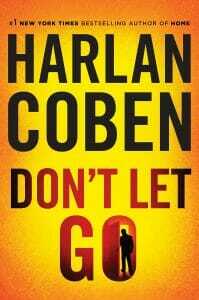 I just finished Harlan Coben’s Don’t Let Go book and I really enjoyed it. I personally don’t like to read previews so I really don’t want to say too much but I guess you have to when doing reviews? The book is about the death of a cop’s twin brother and girlfriend when they were almost out of high school. It is now almost 15 or so years later and things are happening that are shedding new light to their deaths, and lives. Was it accidental? Murder? Suicide? A cover up? All these questions are brought up and the story is gripping. I found myself listening to the audio book while having lunch and dinner. Usually I only listen while driving or working in the garage but I couldn’t stop. I highly recommend this book. I prefer audio books and this one is narrated perfectly.